The workshop is a 2 day workshop where we will be spending some time getting to know each other, your business and goals. In this workshop, you will learn the fundamentals of floral and event design, layering, tabletop essentials, branding, marketing, sourcing and have the opportunity to get hands-on experience creating floral designs to grow your business. . The workshop will give you the confidence to create, design, and discover your own personal style. 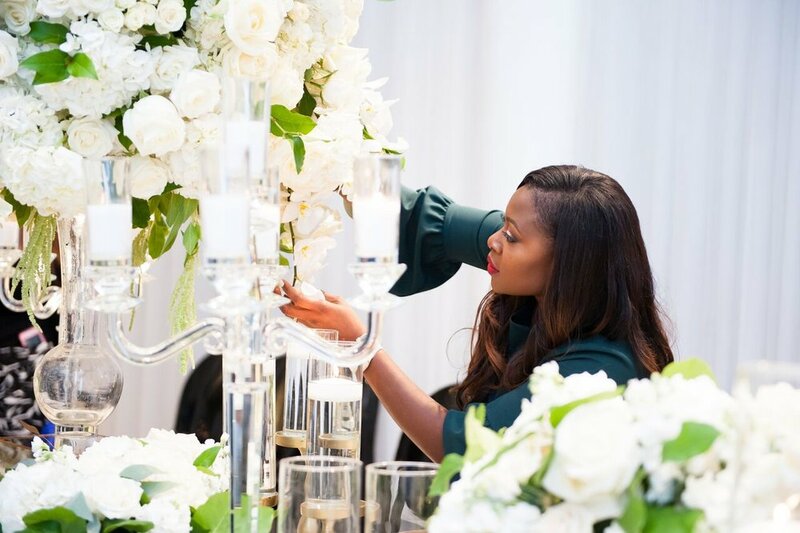 In addition, Akeshi will be teaching the mechanics behind how she builds her lush centerpieces, bouquets, and floral arrangements. Attendees will be given the tools and guidance to create lush and over the top arrangements, bouquets, creative floral designs and more. All tools and supplies will be provided, including florals and vases. “There are three responses to a piece of design: yes, no, and wow. Wow is the one to aim for"
Step 2: (BONUS) Online Video Series - Once registration is closed, you will get access to exclusive online masterclass videos from Akeshi. These series of educational videos will include online courses with lessons from Akeshi to the attendees. These videos will arm you with tools and resources to begin to transform your business and for the hands on workshop ahead. Step 3: Classroom (Hands On Session) - This is the final part of the workshop where you will spend 2 days with Akeshi learning and applying all that you have learned designing a ceremony and styled table finalized with a creative styled shoot. The workshop will be concluded with a cocktail reception. "Invest in yourself, in your education. There's nothing better "